Chicago Police this week released a surveillance camera photo in the fatal Feb. 9 robbery of a Subway restaurant at 1129 N. Western Ave. Lyn Ward, 54, was shot in the 8:48 pm incident and died the next morning in Stroger Hospital, according to news reports. 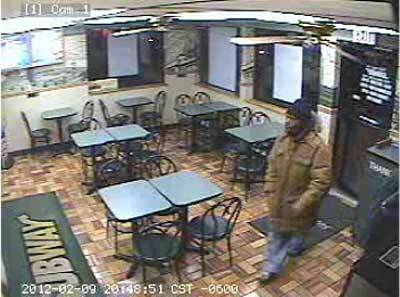 Area 4 detectives described the suspect on camera as a medium-complected black man in his 30s, about 5-foot-8. A community alert notes that he wore a dark knit ski cap, three-quarter-length tan parka with fur-trim hood, light blue jeans and white gym shoes with black trim. Citizens with information on the crime are asked to call detectives at 312-746-8252. Crime is the planned theme of the March 5 East Village Association meeting. 13th District Commander Frank Gross and community volunteer Molly Murray will speak at 7 pm at Happy Village, 1059 N. Wolcott. The district plans its own safety forum Feb. 29 in the Smith Park fieldhouse, 2526 W. Grand Ave. The volunteer Guardian Angels group that patrols CTA routes is involved in the 6 pm session. 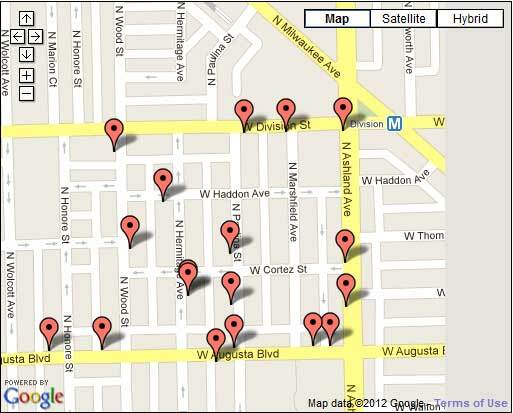 Community alerts also were issued Feb. 2 in multiple burglaries that involved front-door break-ins, in the Jan. 31 robbery of the Elevenzees gift shop at 1901 W. Division, and on Jan. 26 after a burglary on the 1800 block of West Haddon Street. A Jan. 20 announcement noted 11 thefts since December of catalytic converters from Honda and Lexus sport-utility vehicles, and a Dec. 12 flier described strong-arm robberies in the district. 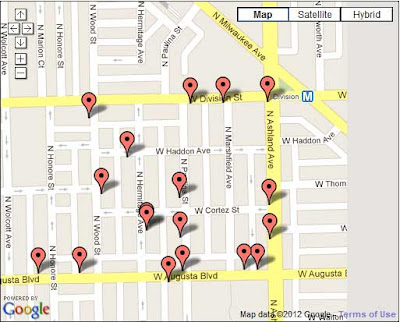 Police identified an average number of crimes in East Village last month, according to the Chicago Tribune crime tracker website. But recent incidents are getting closer attention with the city's plan to close the district's station house at 937 N. Wood St. In December, the Chicago Justice Project noted a 70% drop in violent crime in the Wood Street district from 1990 to 2009. However, the data shed little light on how the larger, consolidated districts might fare. "This compilation actually raises more questions than it answers," says EVA vice president Neal McKnight. A drop in reported incidents between 2008 and 2009, unremarked in the report, suggests a change in the police reporting procedure. On Feb. 1, Ald. Proco Joe Moreno and Robert Fioretti presented commendations to six officers in a pre-Christmas arrest involving crimes near Pulaski Park, 1419 W. Blackhawk St., in the adjoining Shakespeare (14th) District.